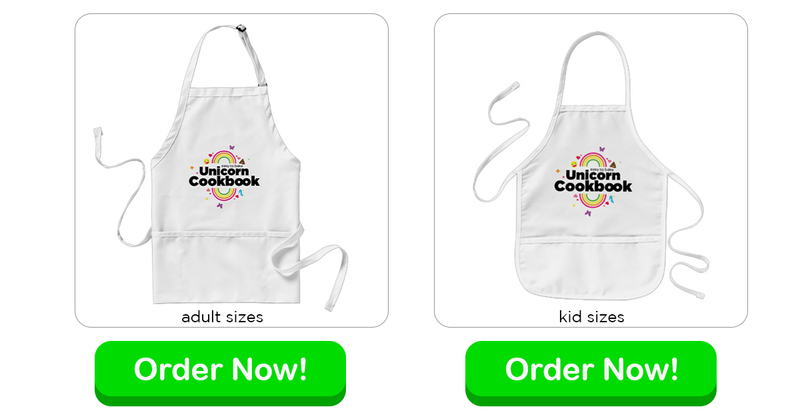 The Unicorn Cookbook Chef’s Apron! We are so excited to share with you the latest and greatest from the Cinderly Team! 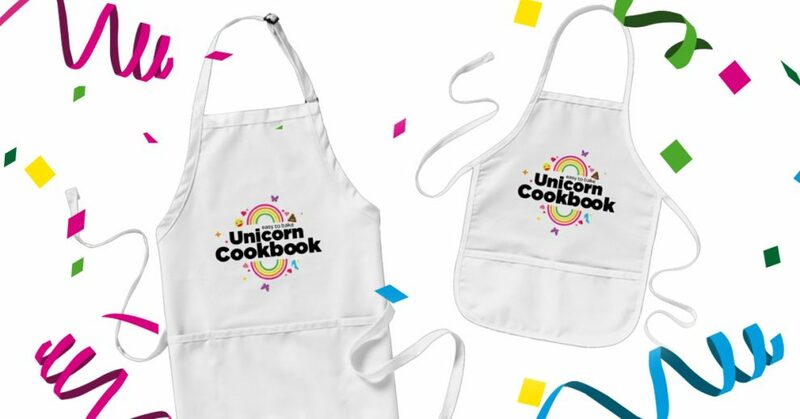 Our Unicorn Cookbook Chef’s Apron is the ultimate thing to start your bake-off in style! You won’t have to kiss the cook if you get them one of these classic aprons. It’s super useful with its three spacious front pockets – perfect for all your utensils and tools. Select a design from our marketplace or customize it and unleash your creativity! 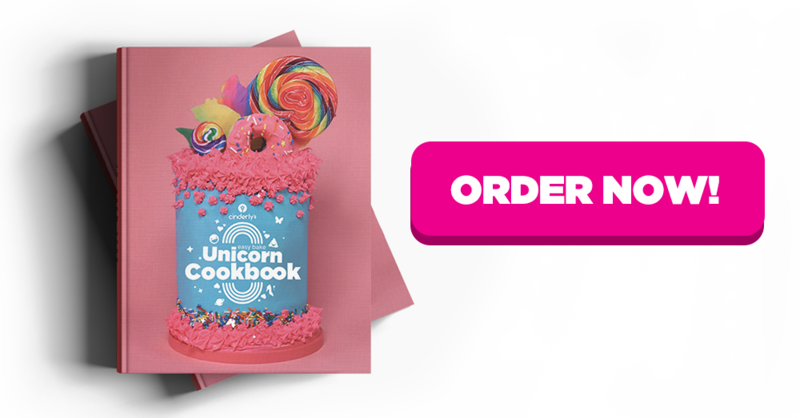 Lil’Monster Brownies, Rainbow Cake Nirvana, Glass Slipper Mirror Glaze, or any of the 36 recipes in the Easy Bake Unicorn Cookbook!